Click here to get your FREE ticket for the Simply Profitable Designer summit! Download the free checklist to save yourself countless headaches and wasted hours! Finding a developer you can rely on to bring your web design projects to life is a big and scary step. In fact, when I sent out a reader survey a while back, the most common question that was asked about working with a developer was how to find the right one. I totally get it. It’s hard to hire a VA to schedule social media posts, let alone someone to take over pieces of your client projects – whether it’s small coding tweaks or totally custom sites. 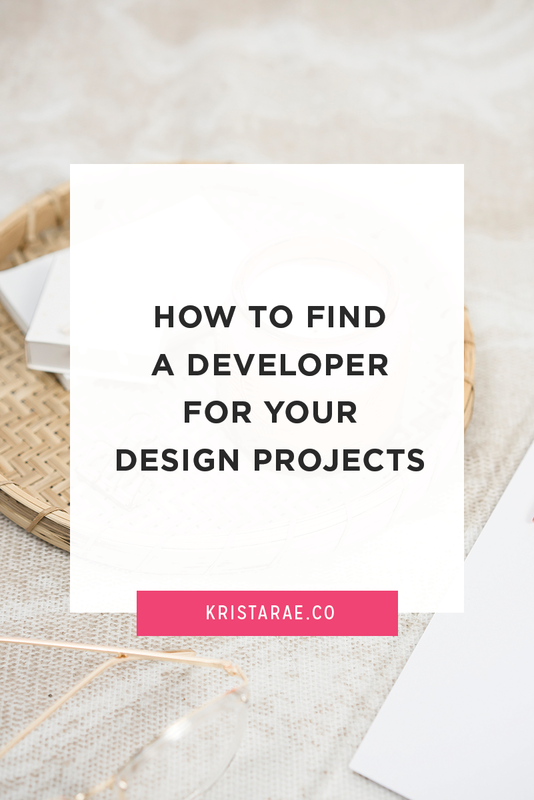 To help with that, today we’ll go over how to find a developer for your design projects. 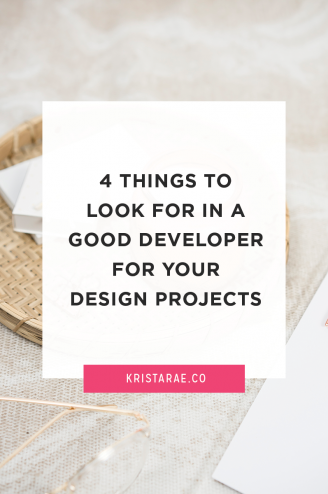 To learn more about working with a developer, unlock the ultimate checklist to go from hours of code to development-free design projects. Click the button below to get started! 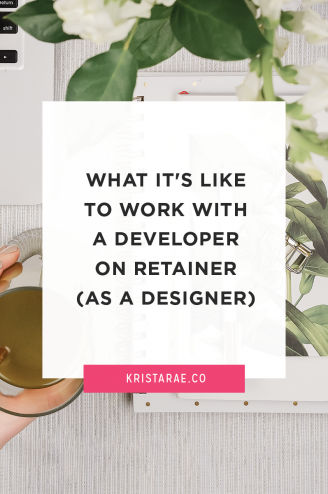 But first…let’s talk about the biggest mistake I see designers (and other business owners) make when it comes to hiring a developer. Say you’ve decided you’re ready to work with a developer. Whether it’s something you thought about a lot or you’re in a bit of a crunch with a client project and need help like yesterday. You decide to turn to a Facebook group and see if there are any developers out there who can help out. In doing this, you could get all kinds of responses or just hear from one or two developers who happen to be on Facebook at the right time. In either case, it’s tempting to just kind of…pick one. This is the biggest mistake. Not taking the time to look closely at your options to make sure you’re getting someone you actually want to work with. I say this is the biggest mistake because I’ve seen way too many designers do this and then end up regretting their decision later. Either after the developer goes totally MIA, is awful to work with, or can’t do what they said they could. So, let’s avoid that, shall we? Let’s move on to what you want to look for in a developer. Start by considering what’s actually important to you. This will be different for every designer and it will have a big part to play in what you look at when choosing a developer. In the From Mockup To Code Toolkit, we have a full lesson with a scorecard that guides you through rating developers on these types of things (and more), but for now, let’s break each piece down a little bit. We’ll start with cost since it tends to be something that people are more concerned with, especially for the first few collaborations. You’ll certainly find that it’s a balancing act, but when it comes to a developer you get what you pay for. If a low cost is something that you’re concerned with, you’ll have to be less worried about experience and what the final result will look like. You’ll want to have some development experience yourself in case you need to jump in and make some tweaks. To give you an idea, I offered my first custom websites for $800. The designers I worked with at the time didn’t end up needing to help at all and the final results turned out well, but I did count on quite a bit of help from some friends. 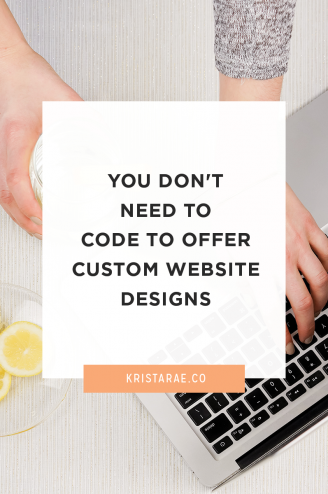 If on the other hand, things like experience, being hands-off, and an amazing final result are more important to you, you’ll want to start looking for a developer in the $1800+ range for a custom website. To find the cost of the developers you’re interested in working with, start by taking a look at their website. Many will list prices for packages on their website. If they don’t, email them with a specific project example and ask for a quote. Next, let’s move onto experience. If you’re dedicated to having a positive collaboration and getting your clients good results, experience is something you’ll want to pay attention to. Luckily, it should be fairly easy to do research on, based on the websites of the developers you’re considering. Start with their About page and see if they mention anything like formal education or past jobs in development. From there, take a look at their portfolio to see if their past work shows that they could handle what you’d be sending their way. Along with experience, you may choose to look at the style of their past projects. With this, it doesn’t matter quite as much if their past projects are bright and girly and you tend to design more minimalist and classic-feeling websites. But instead, if your designs are generally more complex than what you’re seeing in their portfolio, you may choose to start with a small test project or choose someone else. And last, take a look at the offerings of the specific developers you’re considering. Then, consider who those offerings are targeted towards. As a developer who switched from working directly with clients to working with designers, I can tell you first-hand that it’s a whole different ballgame to work with designers. There’s another level of attention to detail that’s required. So if accuracy is important to you, you may choose to only consider developers who specifically work with designers. After you’ve decided what’s most important to you and narrowed down your options, it’s time to see if your research has led you in the right direction. Make a connection by chatting through email or getting on a call. Start with a normal conversation to make sure the two of you would hit it off (if a personal connection is important to you) and then move on to talk more about their process to make sure it will fit in with the way you do things. If you notice any red flags while you’re chatting, don’t ignore them. Listen to your gut and choose someone who you’re genuinely excited to work with. From there, start with a smaller project, rather than jumping straight into a custom website. That way you can both get used to the process of working with each other and you’ll have a good opportunity to make sure you’ve found the developer for you! Do you know what you’re looking for in the perfect developer for you? 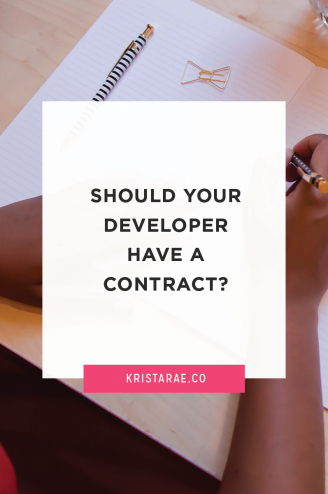 Should Your Developer Have A Contract? Click the button below to download your free checklist!